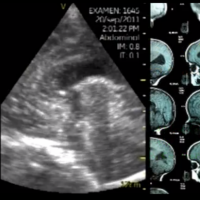 The main objectives of this channel, and philosophy are: 1) To freely disseminate videos and pictures of current cases, obtained with handheld ultrasound device, vscan type, made at patients’ bedside. It will show diseases, common symptoms, advice and findings that might be useful for medical students, residents, medical personnel or those interested in any area of health care (Hospital, Primary Care, Emergency, NGOs ..). 2) To create a forum for communication, dialogue and learning about handheld ultrasound and its usefulness in clinical practice. 3) To help out patients as main objective, and therefore to respect their right to privacy, confidentiality and data protection.